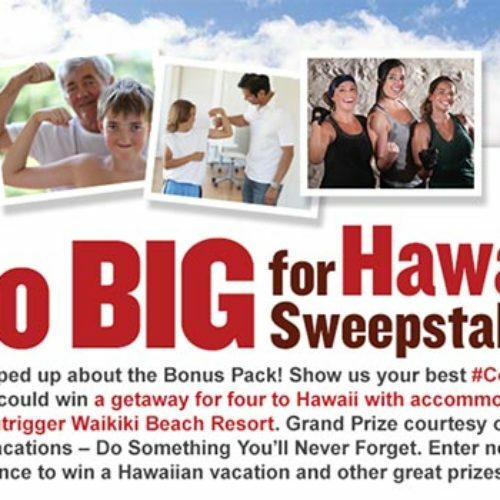 Show your best #CoffeeFlex for a chance to win a getaway for four to Hawaii with accommodations at the Outrigger Waikiki Beach Resort courtesy of Eight O’ Clock coffee and Funjet Vacations. 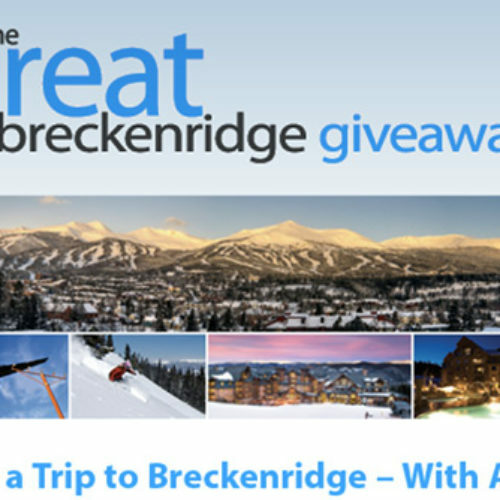 Enter for your chance to win a ski trip to Colorado during the 2015/2016 season including 5 nights lodging in a condominium at the Grand Lodge on Peak 7 in Breckenridge, Colorado, up to $1,000 for airfare, $600 for lift tickets, and $400 for ground transportation. 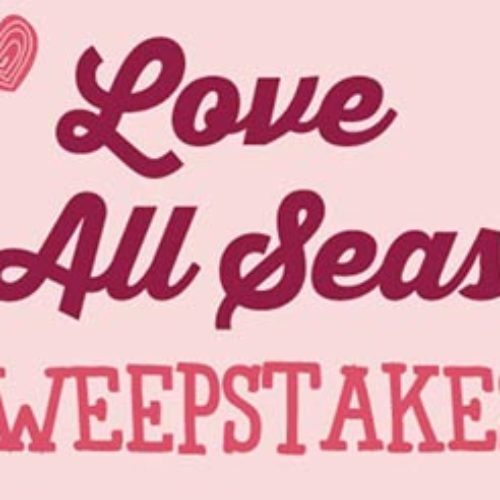 Enter for a chance to win your choice of romantic Delta Vacations trips inspired by the 4 Seasons in the Hallmark Channel’s Love For All Seasons Sweepstakes. 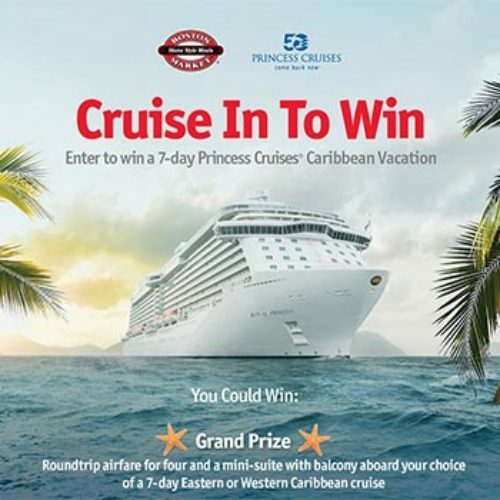 Boston Market is offering you a chance to win a 7-day Princess Cruises Caribbean Vacation that includes roundtrip airfare for four and a mini-suite with balcony in their Cruise In To Win sweepstakes. “Drive a Real Tank” Vacation, Acer Tablets, and More! 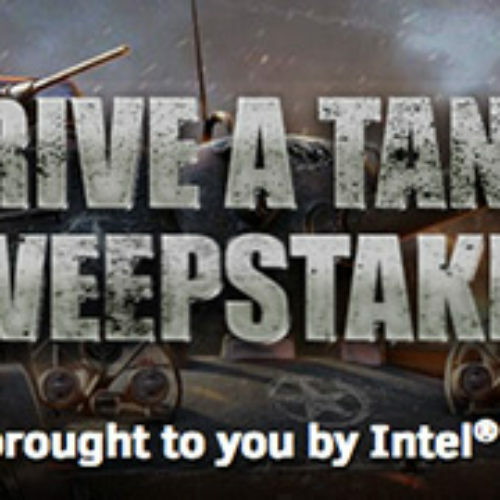 Wargaming and Intel are offering a trip for a winner and one guest where winner participates in a “Drive a Tank” experience in Kasota, Minnesota including a double car crush! They are also awarding six first prize Acer Iconia A1-830 Tablet, and tons of other winners will receive in-game prizes. 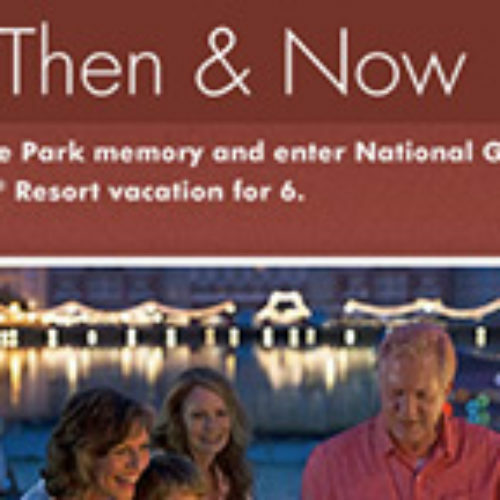 Enter for your chance to win a 5-day/4-night Walt Disney World® vacation for 6 including airfare, accommodations, and more by submitting a photo of a past Disney Park visit before 2014 and you could win this trip sponsored by National Geographic! 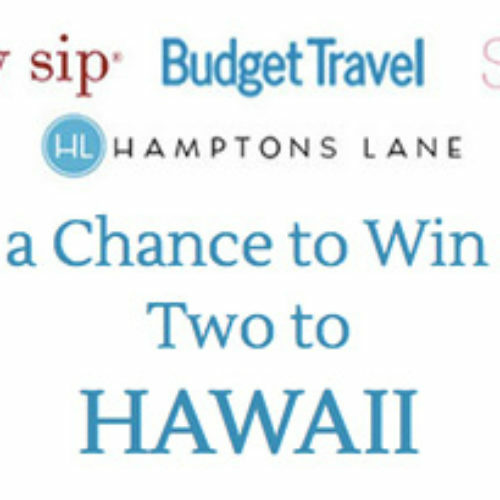 Enter the Hamptons Lane Hawaiian Vacation Sweepstakes for your chance to win a trip for two to Hawaii to stay at Waikiki Beach Marriott Resort & Spa for four days of sunshine, surf, and healthy tropical food. 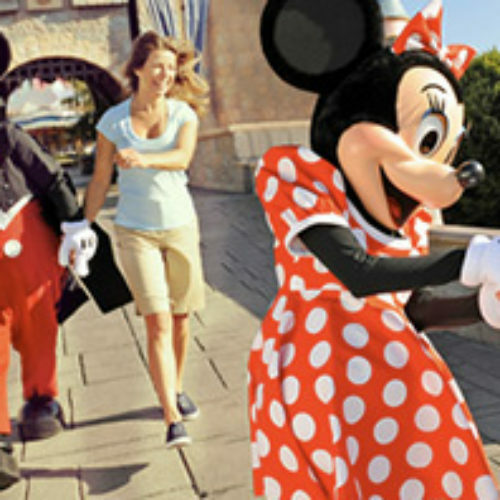 Enter for your chance to win a 5-day/4-night Disney Parks vacation package by sharing a photo of your family “showing their Disney side” by being wild world wanderers, true believers, tireless adventurers or fun-loving kids at heart and enter for a chance to win an unstoppable for four from Smucker’s Uncrustables. Photo doesn’t need to be at Disney. 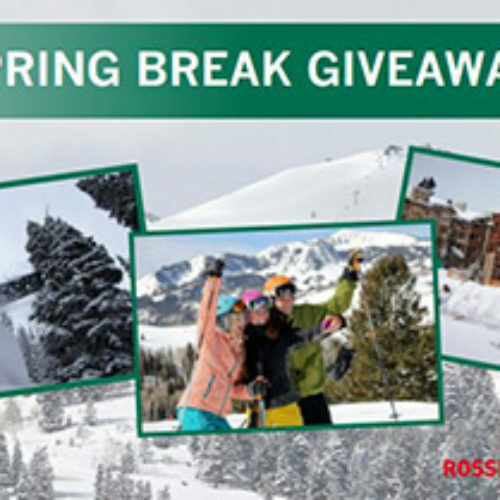 Enter for your chane to win a three-night stay at Deer Valley Resort for two that inlcludes airfare, Rossignol Skis, lift tickets and ski rentals, plus dinner and lunch in the Spring Break Giveawawy from Deer Valley Resort. 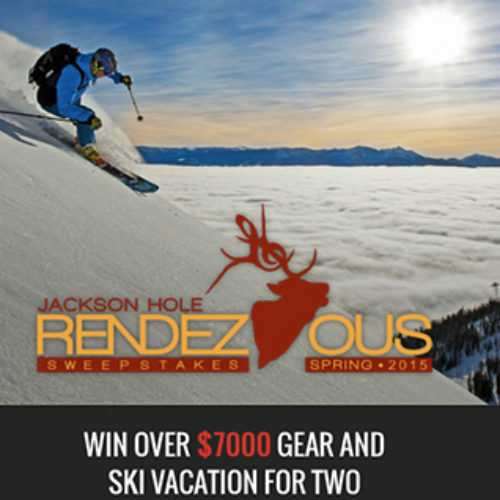 Enter for your chance to win a spring ski vacation for two during the 2015 Jackson Hole Rendezvous Festival including four nights of concerts March 19th-22nd! Get in three days of skiing at Jackson Hole Mountain Resort; attend the Jackson Hole Rendezvous lifestyle and music festival; receive new ROSSIGNOL Soul 7 Freeride packages; roll in style with a rental vehicle courtesy of Jackson Hole and JEEP®; and wind down with four nights lodging in Teton Village!